Castles bloom like flowers. Characters split and multiply. Love spirals into chaos. 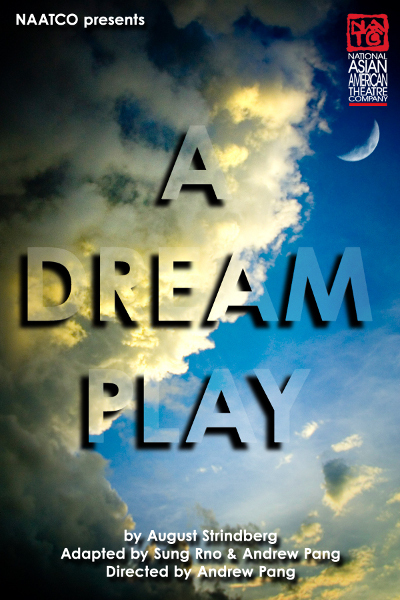 Written at the turn of the 20th century, August Strindberg’s A Dream Play uses the landscape of dreams to explore human existence and spirituality. A world where anything and everything can happen. In A Dream Play, Agnes, a god’s daughter, has lost her way and finds herself falling to the third sphere from the sun, “the densest and heaviest of the spheres that roam in space.” Her father encourages her to descend and observe the “Creator’s children” saying that the world is “not the best for sure, but not the worst. Have courage, child, `tis but a trial.” Agnes observes at first but, drawn to the human beings she encounters, decides to participate in their lives to better understand why pain and suffering seem to be their constant state. This production is made possible in part by public funds from the New York State Council on the Arts and the NYC Department of Cultural Affairs. It is a part of SubletSeries@HERE, HERE’s curated rental program, which provides artists with subsidized space and equipment, as well as technical support.